In the first step, the buyer enters an email address to which the purchase confirmation or download link will be sent after purchase confirmation. 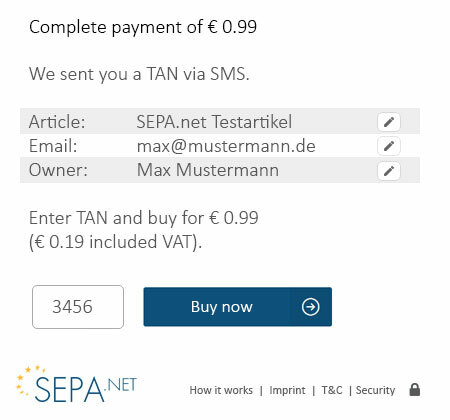 Next, SEPA.net queries the consumer’s bank details . 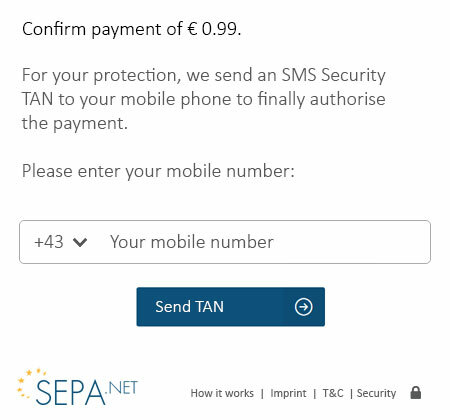 They can then enter the data for their SEPA account, whether in Germany or in the rest of Europe. 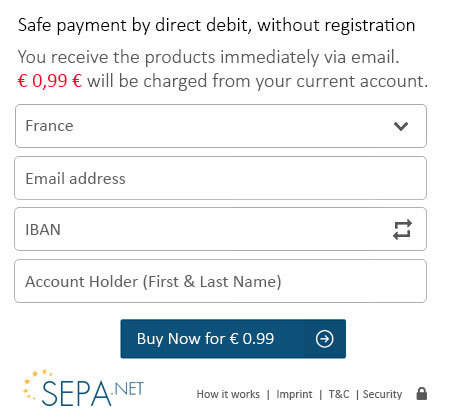 Of course, the ‘classic’ account number and sort code can be stored: SEPA.net automatically converts them to be SEPA compliant in the background. To finish comes the authentication. For this, the end customer enters their mobile phone number in the appropriate field, and immediately receives an SMS code, which confirms completion of the purchase process once entered into the box provided.